There are sporty SUVs, but until the Macan came along, the Porsche Cayenne was arguably the only pure definition of a ‘sports SUV, à la sports car. 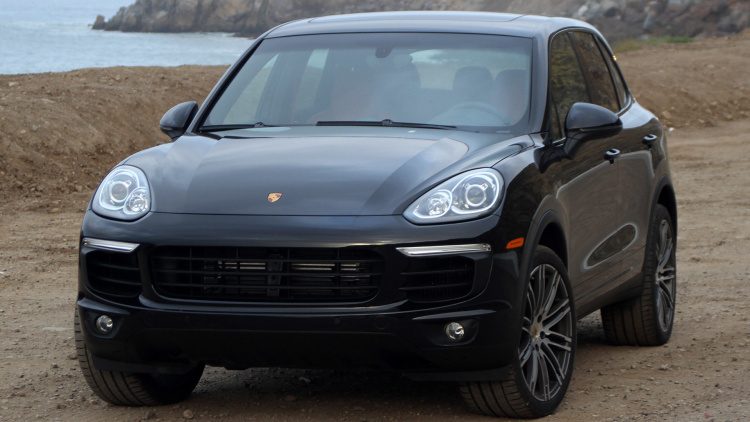 The second-generation Cayenne is now five years old, but still looks fresh. It’s handsome without obvious effort, especially with the optional 21-inch 911 Turbo wheels. The Cayenne S replaces the old, 400-horsepower, 4.8-liter V8 with the brand-new, Porsche-developed 3.6-liter twin-turbo V6. This engine is quickly proliferating through the range – it powers the current Panamera S and the Macan Turbo. That former 4.8-liter started life as a 4.5-liter with 350 horsepower way back in 2002, specifically developed for the Cayenne, and to the end it remained a potent engine. We tried the new forced-induction V6 with 420 hp earlier this year in the Panamera S, and other than a soggy exhaust note it maintained the character of the former V8 sport sedan, with lusty power and hasty delivery. So, how’s it do in the Cayenne?